Assalamualaikum wbt and a good day to you! 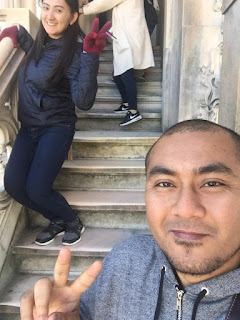 Thank you for reading yet another simple story of my honeymoon trip to Italy. This time around, i will share our experiences in Milan. We spend a lot of days here in Milan, 4 days 3 nights to be exact. Just because we wanted to go other cities and they are nearer to Milan, we decided (actually i was the one decided on everything! haha) to stay a bit longer in Milan. This picture was taken the first night when we're in Milan at Via Brera. 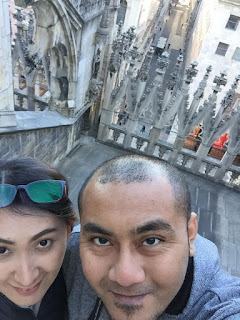 I suggested that we could try to find the route to Il Duomo from our hotel. Just wanted to know how long do we need to walk and to familiarize with the route. I always like to prepare things first. The main reason why i need this walk is because we will be visiting Il Duomo the next morning and we have to be there at 9.30am. We don't do much in Milan. My main place to go in Milan is Primark. I have been dying to go to Primark and only know that they only have it in Milan (now they do have in Florence as well i guess). 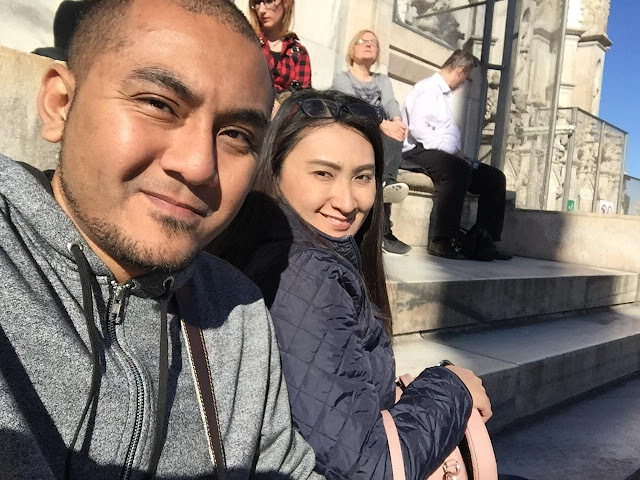 For us to get there, we need to board a taxi from Il Duomo to Il Centro, which is a bit outskirts from Milan city center. After asking few taxi drivers, one decided to get us there! We have to pay i think about Euro 20 but it's okay, as long as i get to go to Primark, i'm happy! 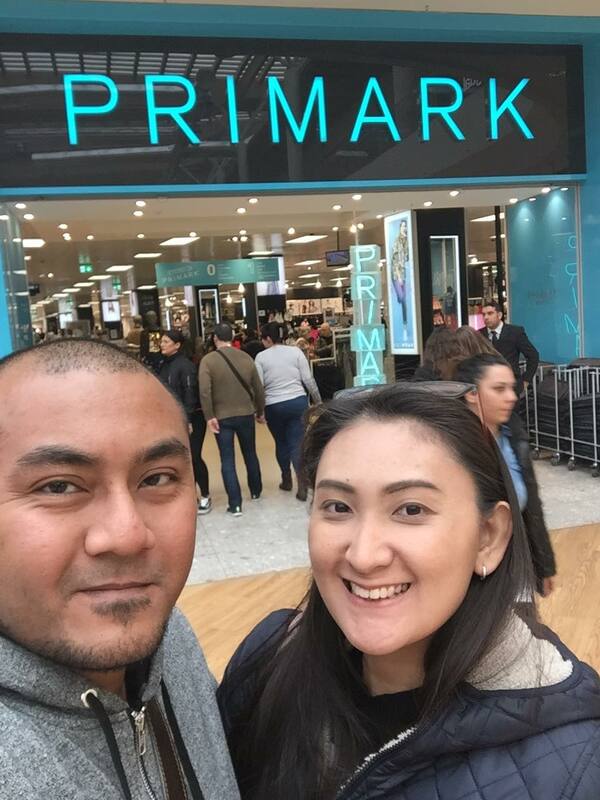 Actually, we visited Primark right after our tour in Il Duomo. 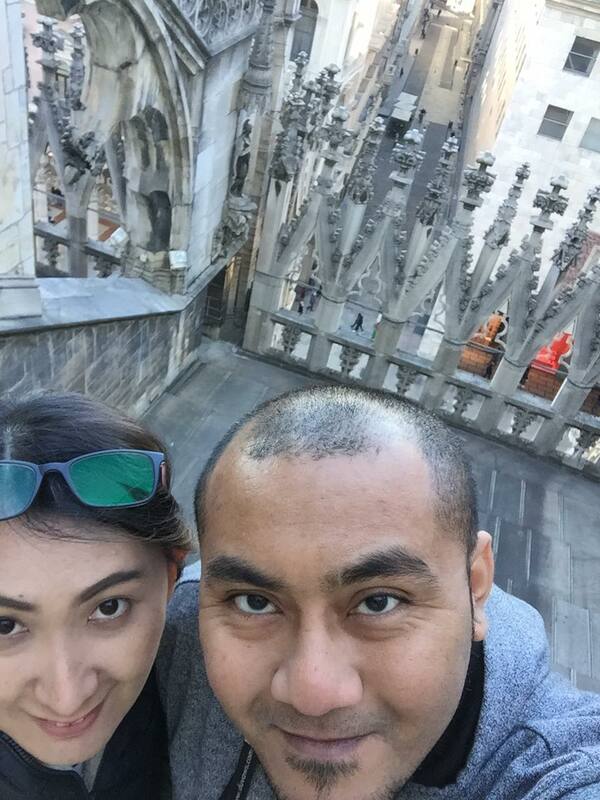 At Il Duomo, we don't really take many photos but my husband managed to snap few wefies. We climbed to the roof top and it was exhausted! Thank God we managed to climb up and down safely. Please bear in mind that in order for you to enter Il Duomo, there'll be a thigh security check upon entry. No water bottle, no perfume (even the mini ones! ), no sharp items. It's like the airport security style except this time around, it's their army who will do the bag checking. Well, i am not so much a Milan type of person. I like Rome much better than Milan. Perhaps we don't really visit all the tourist spot in Milan. If i were to go back again to Milan, i rather choose other places like Florence or even Lake Como! Maybe my heart is not suitable to live in Milan. Too many high rise buildings and quite modern. I shall write about Turin next!